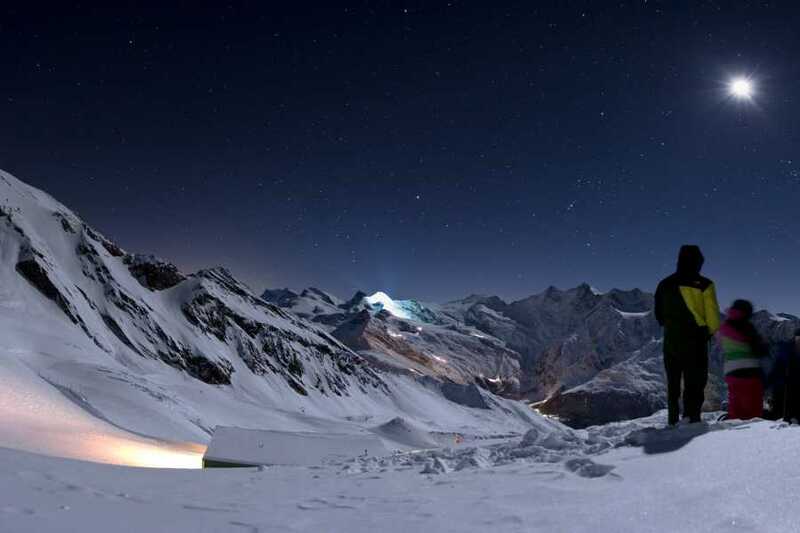 Full Moon Skiing Hohsaas - Saas-Fee Guides - The mountain guides of the Saas-Fee valley. When the moon turns on its soft light, the mountains call for a unique ski run down to the valley. 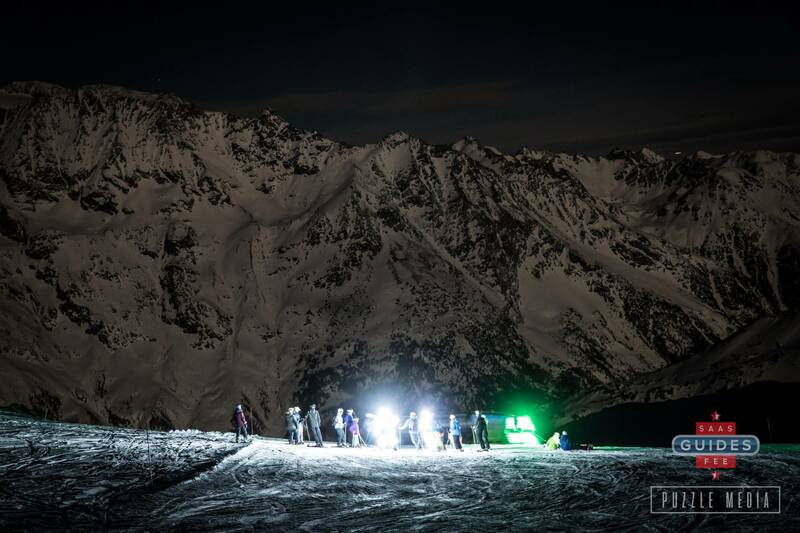 The full moon skiing takes place on perfectly groomed slopes and is also suited for average skiers / snowboarders and children. Don’t forget to wear warm winter clothes! The full moon skiing only takes place when the weather is keeping up. 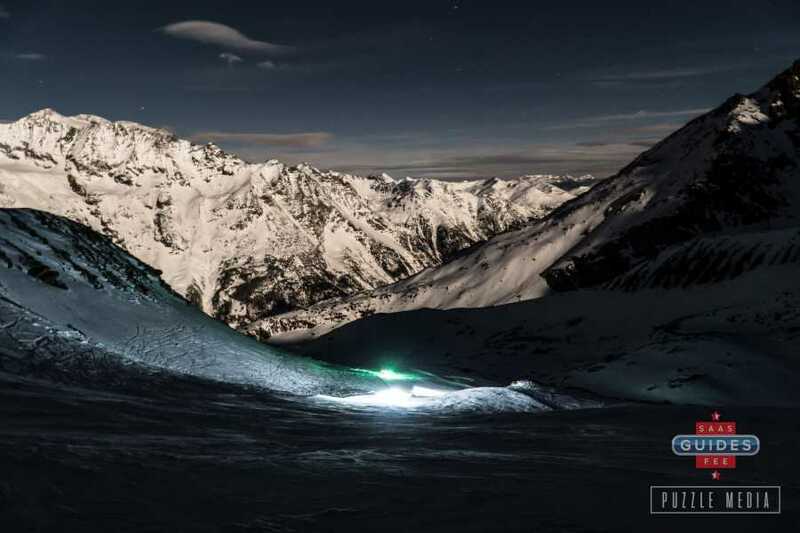 On the slopes you will be accompanied by the Saas-Fee Guides who will be wearing LED suits to further enlight the slope on top of the head light included for each participant. 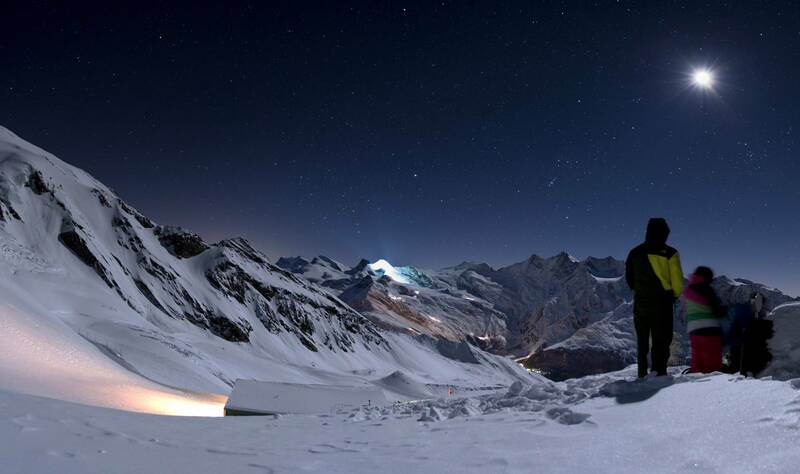 Together with the soft moon light, you will be enjoying a spectacular ski experience. But before going to the slopes you will enjoy a cozy Fondue dinner at the top station of Hohsaas. 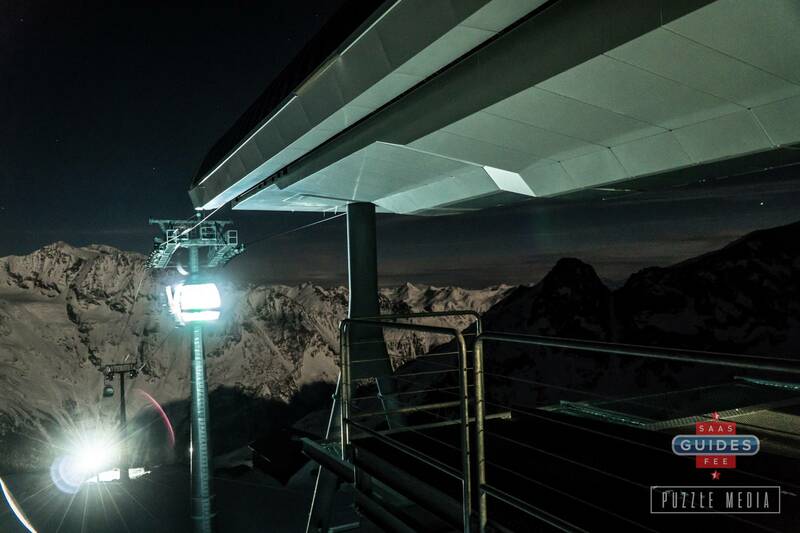 This trip starts at 6:30pm from Hohsaas gondola base station at Saas-Grund. 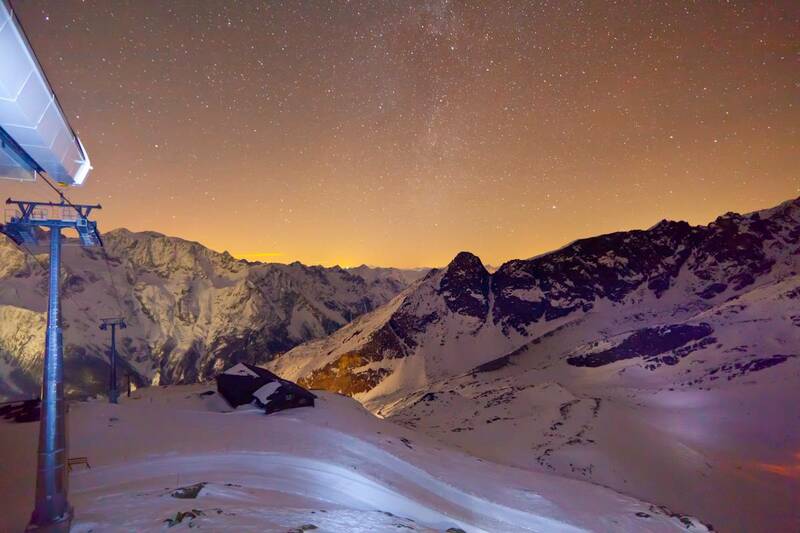 At the top of the Hohsaas gondola, you will enjoy a Fondue dinner followed by a downhill run back to Saas-Grund. The gondola section between Kreuzboden and Hohsaas is exclusively open for the guest of this tour. The arrival at Saas-Grund is around 10pm.